LONGMONT, CO • April 18, 2016 – Meet Extrovert IPA. This April, Left Hand is launching a new American IPA, bringing together a blend of tropical, fruit-forward hops with a malty backbone. 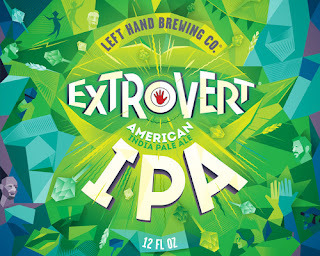 Brewed to be enjoyed with friends, Left Hand’s new IPA features a blend of hops and a pleasant, lingering bitterness with a dry finish. Extrovert IPA will join Introvert Session IPA as a year-round offering in six-pack and draft. 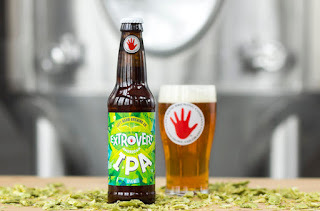 With a hopped up attitude brewed to stimulate serendipity, Extrovert is assertive with a big personality of 75 IBUs, yet reveals layers of complexity for the seasoned IPA fan. Extrovert IPA is dry hopped at one pound per barrel with a hop blend that plays well together, consisting of Jarrylo, Cascade, and Comet. Jarrylo is a Pacific Northwest hop, full of nuance with subtle stone fruit notes. Cascade brings citrus while Comet adds tropical flavors and pineapple notes, and is Extrovert & Introvert’s shared hop variety. In addition, rye and acidulated malt give the beer a dry mouthfeel and distinct bite. The lasting result is a hop melody like a basket of fruit with mouthwatering notes of pineapple, mango, and orange blossom, balanced by sweet biscuity malt. Extrovert finishes with a pleasant lingering bitterness. Extrovert IPA will be released in Colorado beginning the week of Monday, April 14th and is expected to be available across Left Hand’s 36 state footprint by late May. Release events will kick off on Thursday, April 28th with a Denver release at Freshcraft, and a Longmont release at the brewery’s Tasting Room on April 29th. With Extrovert and Introvert in your fridge, Left Hand has a little something for everyone, with all beersonalities covered. Explore your Beersonality – coming this May!